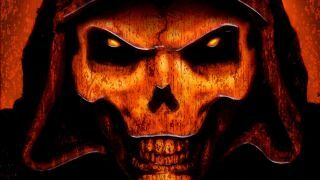 The world of Blizzard's action-RPG series Diablo could find a surprising new home soon: Netflix. According to a since-deleted tweet from screenwriter Andy Cosby, an animated series set in the world of Sanctuary (that's the realm in which the Diablo games take place) is on the way. But don't get your hellish hopes up just yet. For starters, Cosby has deleted the tweet, which could mean his disclosure was premature. Perhaps he wasn't supposed to reveal the project, or the deal isn't finalized. After all, Cosby only said he was in "final talks" to lead the series, not that production has started or that there's anything more concrete to look forward to like, say, a trailer. That said, there's reason to hold onto hope. We reached out to Blizzard about the project and were told the company has "nothing to announce at this time". While not particularly encouraging, the studio's response isn't a flat-out denial either. And considering back in August the company said there were "multiple Diablo projects in the works," mayhaps this is one of them. With BlizzCon 2018 scheduled for November 2 and 3, it's possible such an announcement is merely being held until that event. So maybe just wait a bit longer and we'll find out the truth of the matter. And hey, if the Netflix Castlevania series can be as good as it is, why not a Diablo animated series? Diablo 3 first came to PC in 2012, but its still going strong six years later. If you somehow still haven't played it (or even if you have), you'll get yet another chance when Diablo 3: Eternal Collection arrives for Nintendo Switch on November 2.